Located in the Fort Apache Historic Park, Nohwike’ Bágowa (House of Our Footprints) is the place to experience Apache history and culture. 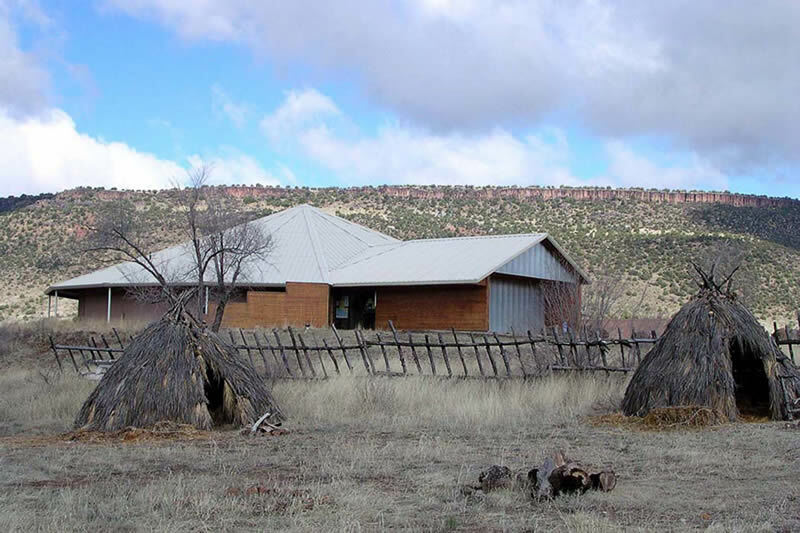 Housed in a modern facility constructed to reflect a gowa, our traditional holy home, the cultural center and museum is committed to the celebration and perpetuation of the Apache heritage. Nohwike’ Bágowa hosts long term exhibits, temporary exhibitions, regularly scheduled Apache arts demonstrations, and other special events. The museum also houses the Tribe’s growing archival collection, including manuscripts, publications, and a large collection of historic photographs. 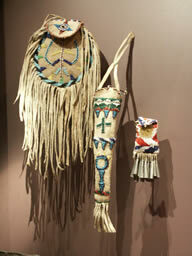 The museum shop offers a wide selection of the best Apache basketry, beadwork, and other arts, in addition to books, music, and Fort Apache and Tribal mementos. 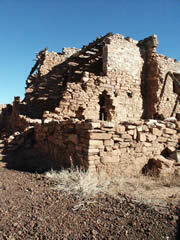 The Fort Apache Historic Park, including Kinishba Ruins, is open daily from 7:00am to sunset. Nohwike’ Bágowa is open Monday-Saturday 8am to 5pm during the summer, and Monday-Friday 8am to 5pm during the winter. Admission to the museum and park is $5.00 per adult, and $3.00 for seniors (64+) and students. Children under 7 are admitted free. Admission to the Park after-hours and on holidays is $5.00 per vehicle per day. Apache tour guides are available with advance reservation, and special accommodations and activities can be arranged for tour groups. 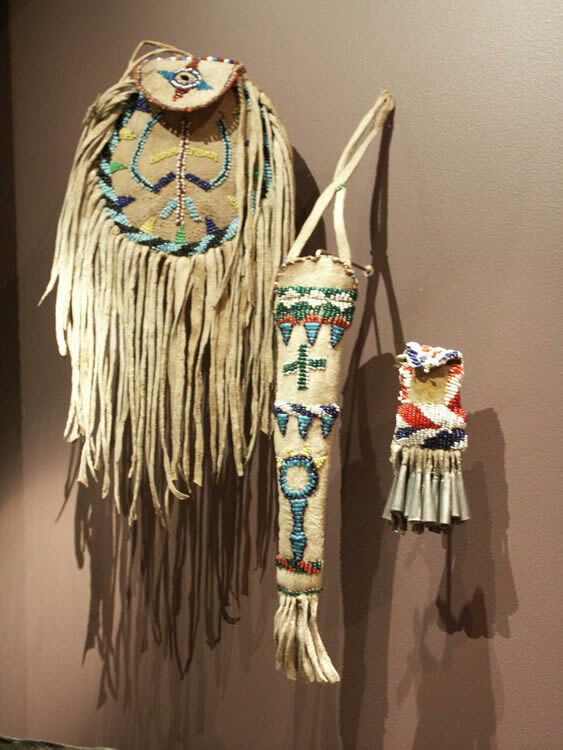 Opened in May 2004 with the support of a National Endowment for the Humanities Implementation Grant, this long-term exhibition explores Apache heritage from our Creation to our Lives Today. Visitors experience the multimedia Creation Story inside a traditionally constructed gowa (Apache home) in the center of the museum. Rare Apache objects—including loans from Arizona State Museum , the Heard Museum , and Sharlot Hall Museum —along with historic photographs and hands-on opportunities introduce our ancestors’ lives. 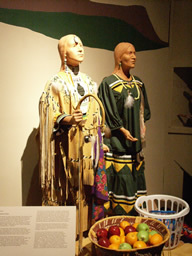 Contemporary photographs, interactive computer and audio stations, and artwork provide understanding of what Apache people’s experiences are like in the twenty-first century. 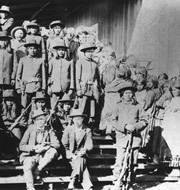 Housed in the oldest structure at Fort Apache , an 1871 log cabin traditionally known as General Crook’s Cabin, The Fort Apache Legacy provides visitors with an overview of the history of the fort and its impact on the Apache people. Photomurals, maps, and historic photographs bring the past to life. A mid-1870s period room offers a glimpse into the world of Army officers and their families at what was to them a remote outpost. 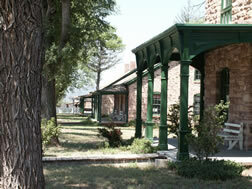 Twenty seven historic buildings make up the core of the 288 acre National Register Historic District. Following maps available at the Museum, visitors can explore the district at their own pace. Interpretive signs located throughout the district explain the construction and use of the historic buildings and spaces, and allow visitors to immerse themselves in the history of what many consider the best surviving example of an Apache Wars-era military post. The Fort Apache Cemetery is located 1/4 mile east of the main fort grounds and is accessible by walking trail or road. Visitors interested in more adventure can hike the Historic Park ’s recreational trails, including a 1.4 mile loop through the East Fork canyon that passes the site of an historic Apache Scout camp and a small Ancestral Pueblo village. Located approximately four miles west of Fort Apache , the Kinishba Ruins National Historic Landmark is a satellite resource of the Fort Apache Historic Park . Occupied by Zuni and Hopi ancestors until about 1400AD, the village was excavated and partly reconstructed in the 1930s by archaeologist Byron Cummings. In 1993 the site was placed on Congress’s “Priority 1” list of threatened National Historic Landmarks. Stabilization work supported by grants from the Arizona Heritage Fund (administered by Arizona State Parks) and the “Save America’s Treasures” program (administered by the National Park Service) has allowed the Tribe to preserve this important site. 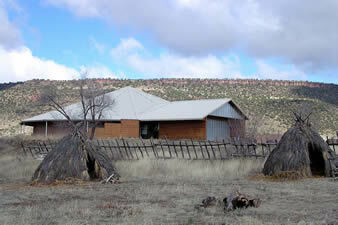 Visitors to Kinishba Ruins must check in at the museum at Fort Apache , where interpretive guides are available. Admission to the museum and historic park includes access to the ruins. 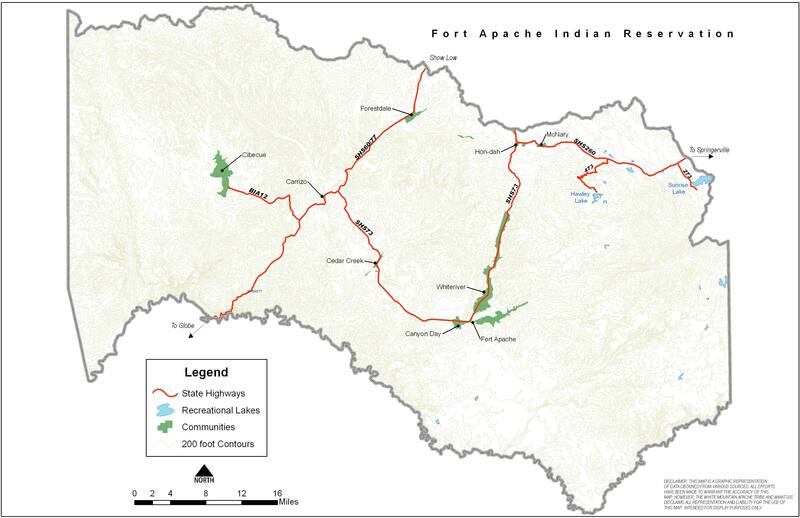 The Fort Apache Heritage Foundation, Inc. 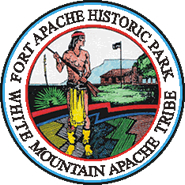 The FAHF was chartered in 1998 by the White Mountain Apache Tribe to help support the preservation and development of the Fort Apache Historic Park and to assist the heritage perpetuation efforts of Nohwike’ Bágowa and the Tribe’s Heritage Program. In 2003 the FAHF received a prestigious Special Initiative in Local History Challenge Grant from the National Endowment for the Humanities. 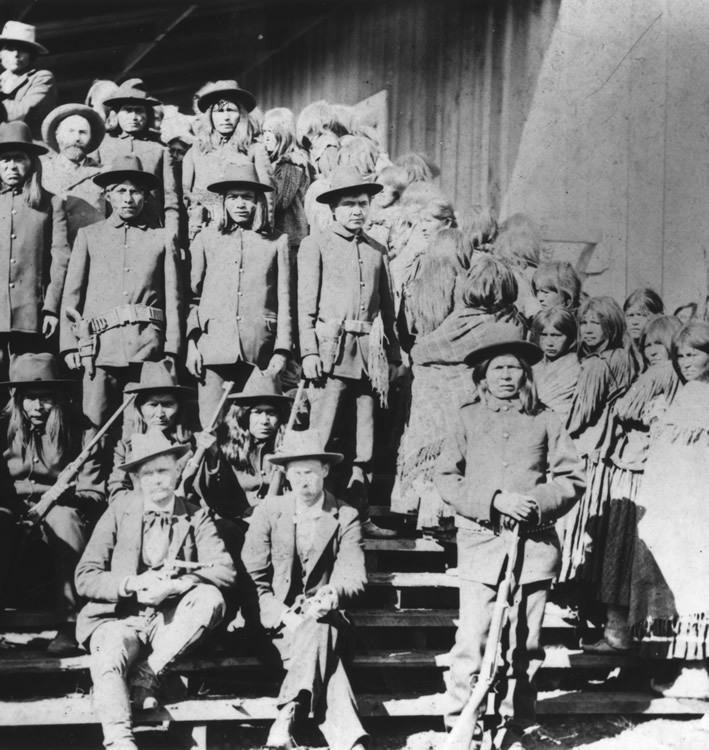 With this grant, the NEH will provide dollar-for-dollar matching funds up to $100,000 to build a permanent endowment to support Fort Apache and White Mountain Apache history and heritage programs. Thanks to the generous support of many partners, in July 2004 the foundation deposited more than $50,000 of donated and matching funds into the endowment. You can help meet the remaining $75,000 match. Please contact the museum at (928) 338-4625 or Historic Preservation Office at (928) 338-3033 for more information.